Saguaro is the symbol of the desert of American Southwest. They rise from the Sonoran Desert, with its arms, like a sentinel watching over the desert. Before I knew the name saguaro, I thought the saguaro was THE cactus and all cacti looked like a saguaro. That was how ignorant I was. This is the iconic nature of this unique tree. It was interwoven into our culture and our view of the American southwest. Saguaro National Park is on both sides of Tucson, a metro area where a million people call home. 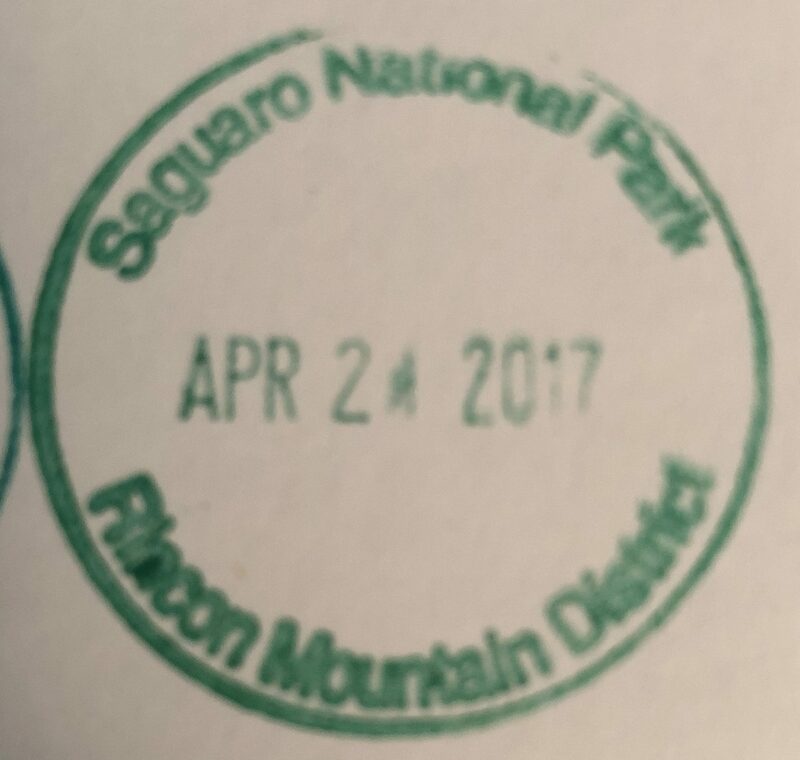 To the west is the Tucson Mountain part of the park. On the east side is the Rincon Mountain part of the park. From the middle of Tucson, it is 30 minutes to either part, very convenient for the city dwellers. We arrived at the Red Hills visitor center in the Tucson Mountain section with warm temperatures and deep blue sky with no clouds. At the visitor center, we did our ritual (get the stamp, see the film, talk to the ranger about hiking suggestions). I asked the male ranger with a small ponytail about hiking the 3.5 mile King Canyon trail, which is our preferred distance for a preferred hike. He looked us over, and said “You know, people who hike it start at 5am and they are usually done by about now.” in a mildly incredulous tone. “If you start now, you won’t be done until 1 or 1:30 and that is too hot to be hiking”, he added. Upon hearing this, Loretta, the authority follower, immediately backed off and asked for “more appropriate” hikes. I relented and went along, but was annoyed by his tone. We drove the six mile Scenic Bajada Loop Drive and stopped at various lookouts. This is a well graded dirt road that is one way for most of the loop. Our first hike was the Desert Discovery Trail, an appropriate first desert hike. This was a beautiful half mile loop and an excellent first closeup look at a saguaro. The white flowers were blooming on the tip of each arm. 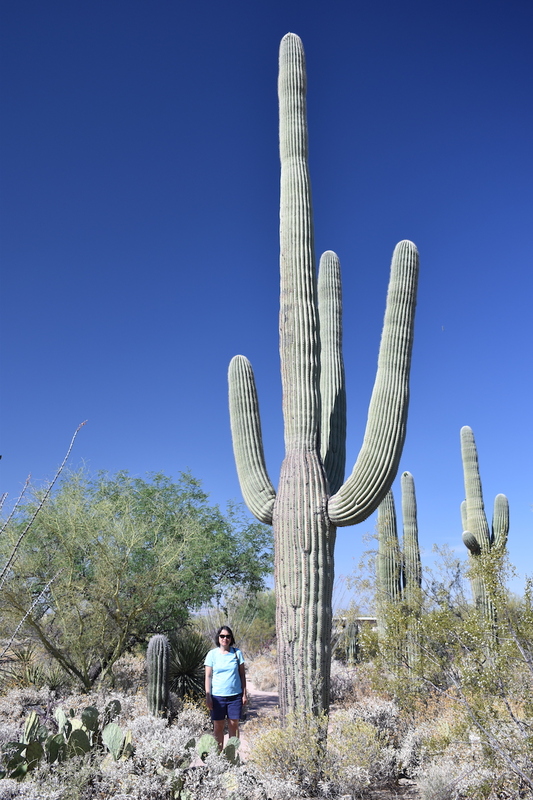 If I was the height of a NBA center, I might have had a chance to take a picture at the right angle, but the saguaros were a lot taller than I was. How I wish I could fly my drone, so I can take a picture from the air. Hot and Dry – It’s the Desert, What do you Expect? The second hike was the Valley View Overlook trail. This 0.8 mile out and back trail ended at an overlook with a steep dropoff. As we headed back towards the car, I understood the sound advice the ranger gave us. It was hot and dry. The sun was unrelenting. We drank lots of water and it still wasn’t enough. This was a 1.6 mile round trip hike with only 100 foot elevation gain. King Canyon would have been seven miles round trip with 1839 feet of elevation gain. Without shade, we would have struggled. Loretta was wise to listen to authority. I was wise to listen to her. I tried hard to find a big Saguaro that was by itself (so I can get a good picture), had at least three arms, and was entirely green. No luck there. 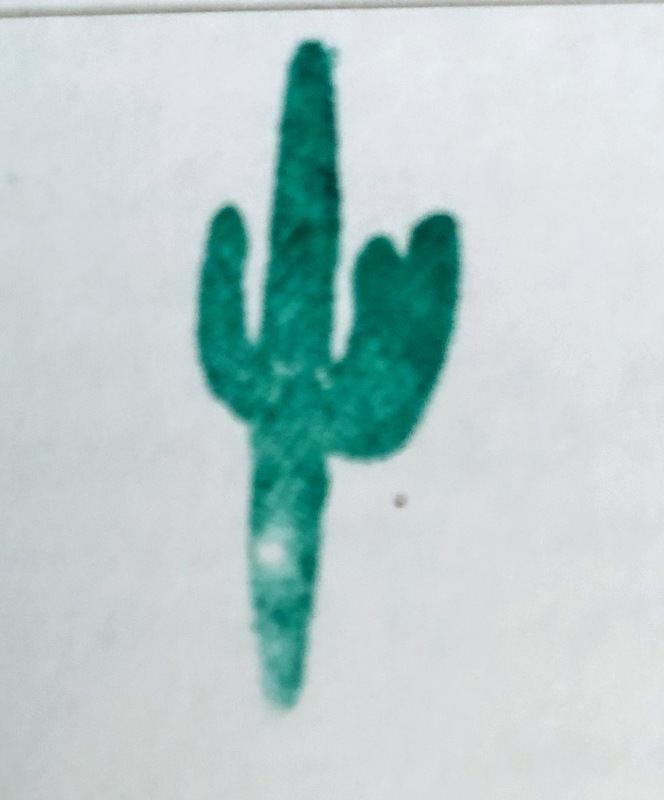 The saguaros were either large but with brown center branch, or small and green. The large ones were older and the center trunk reflected the age with more holes pecked by birds and brown looking. The younger, green ones did not have arms. I didn’t find the perfect saguaro for a picture. We ended our hikes for the day at the Signal Hill trail. This is a short 0.3 mile out and back trail with petroglyphs. By the end of this hike, it was 101 degrees F, and we were very sweaty even with a moderate breeze and the dry climate. Time to go have lunch and be inside for a while. 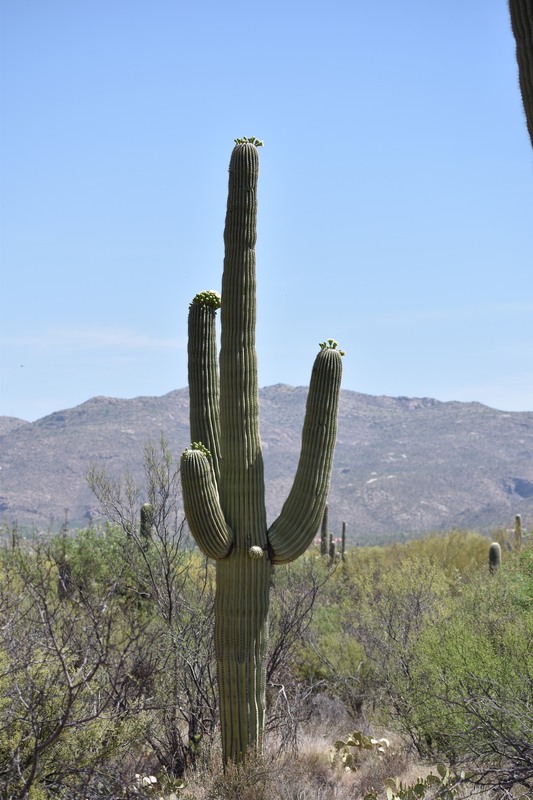 Saguaros can live up to 200 years. During the first year, it grows only 1/4 inch. After 15 years, it may be 12 inches. It flowers and bears fruit at 30 years and can take 50 years to reach 7 feet. Arms won’t grow until it’s 75 years old. By the century mark, it can be 25 feet tall. The trunk of the Saguaro is made up of stalks with a soft substance inside. This soft substance absorbs water and allows it to survive during droughts. The skin is waxy to reduce evaporation. Woodpeckers will dig through the exterior and build a nest inside the soft material. 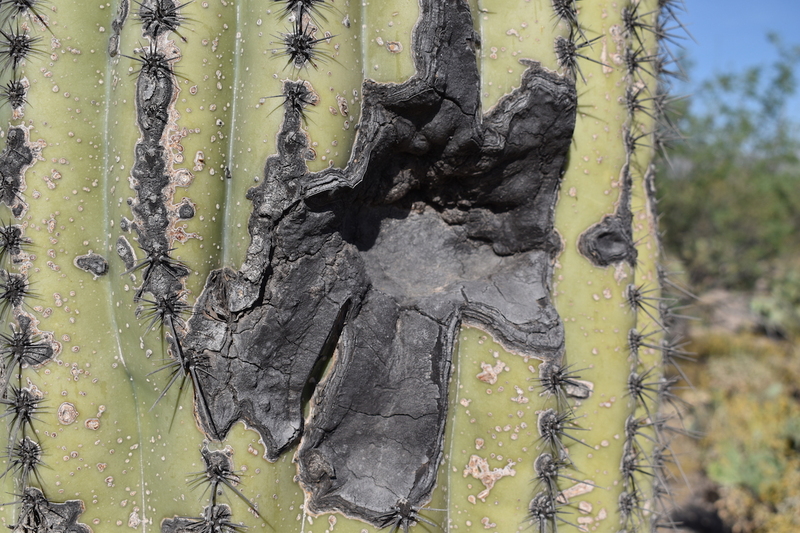 The saguaro will self heal by putting a black shell around the opening to prevent the rest of the plant from rotting. Ah, the magic of nature for survival. We went to the Rincon Mountain side of the park the next day. Temperature was a bit cooler with a stronger breeze. Anita, a very friendly volunteer ranger greeted us as soon as we walked into the Rincon Mountain visitor center. There was a maze of interconnecting trails north of the eight mile Cactus Forest Loop Drive. Anita gave us a hiking guide just for this area, which proved critical to navigate our way through the trails. We decided on the Loma Verde Loop, a 3.4 mile loop. The Cactus Forest Loop Drive was paved and the scenery prettier than the Scenic Bajada Loop in the Tucson Mountain area. 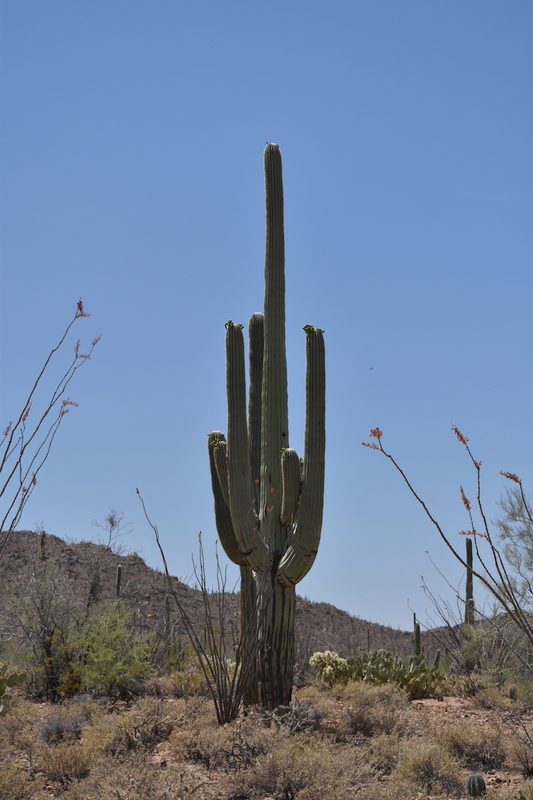 The saguaros here seemed younger, greener, and more vibrant, but they are also smaller. The saguaro “forest” here seemed denser. In general, this area looked more vibrant. We hiked the Loma Verde Loop, per Anita’s suggestion. The flat trail meandered through saguaros, mesquite trees, and prickly pear cactus. The late morning sun beated down on us with temperatures in the low 90s. There was moderate wind, which really helped with the heat. The trail was beautiful. We walked through a mesquite tree forest that was near a wash. Saguaros were everywhere; there were young saguaros only a few feet tall and mature ones towering more than 25 feet. 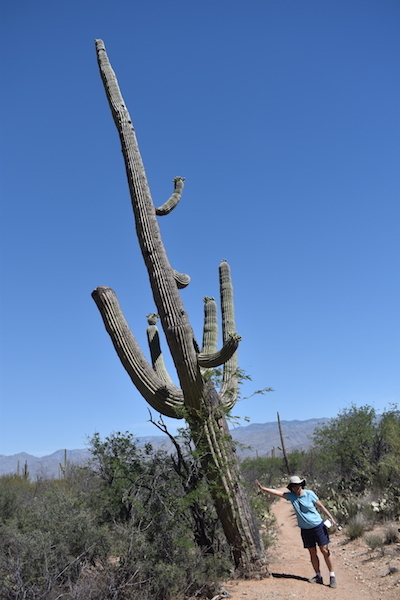 The arms of the saguaro were human like and mostly pointing up. A few were deformed with the arms pointing in all different directions. 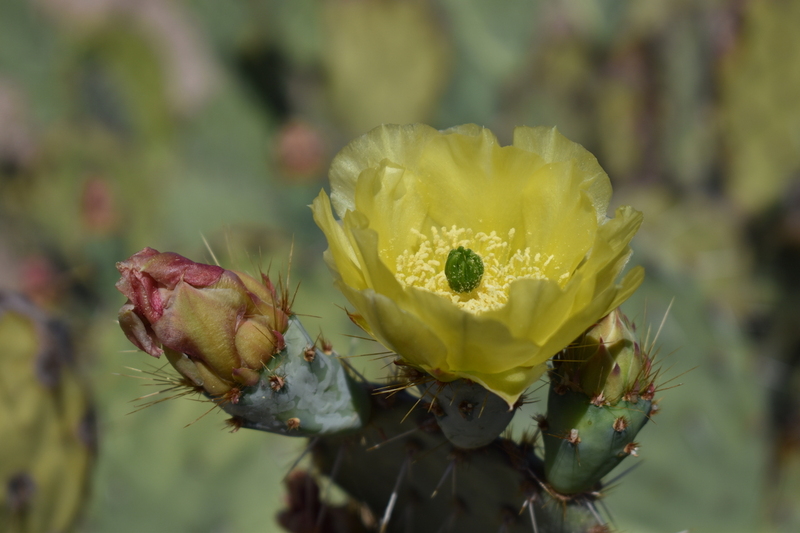 Prickly pear cacti were blooming, as were the saguaros. Lizards scampered across our path. We were warned about rattlesnakes but saw none, much to the relief of Loretta. I wanted to see one, but at a distance. Then we would have a good story to tell. No such luck today. We saw plenty of cactus wren flying about. Loretta was so impressed with the desert landscape, she wanted to plant a succulent garden when we get home. I never heard of a succulent garden before (tells you how much I know about gardening). I asked her what kind of garden is succulent, she said a garden that uses very little water. To me, succulent meant delicious food. Webster’s Dictionary said succulent means “full of juice”. Why does succulent garden mean a garden that requires very little water? Either way, it looked like a succulent garden is in our future. I appointed Loretta to be the navigator and gave her the map while I carried the backpack. She studied the sign at each junction and pointed the way forward. However, at one of the junctions, she stopped, studied the sign, and said “None of the trails match what I see on the map!”. I looked over, and finally figured out we missed the last turn. By this time, we were well beyond where we should have turned. I said to her in Trump style – “You are fired as navigator” and took over the map. I quickly appointed her as backpack carrier and she accepted with no comment. She must have felt guilty about missing the last turn. I realized my back was soaked from sweat when I took off the backpack. As we walked, I said to her “Why are your hands holding the backpack away from your back?”. She said “I don’t want your sweat on my back! I can’t believe how wet the backpack is”. The missed turn added nearly a mile to our hike but we were having fun so it hardly mattered. One job Loretta will not get is narrator for Saguaro National Park videos. Saguaro is pronounced Sa-Wah-Ro, not Sa-Gua-Ro, or Sa-Ha-Ro. She kept calling it Sa-Gua-Ro and eventually gave up and just called it cactus. She still can’t say Sa-Wah-Ro. Somehow, the last Ro just doesn’t come out right. Stand tall and be unique, just like Saguaros stand tall above other plants in the desert and became an icon of the desert. Beyond the saguaro, I didn’t know what to expect at this National Park. Saguaro National Park is more than saguaros. It’s a park of the desert. The trails brings the desert to life. The Rincon Mountain side has the better views in terms of scenery and saguaros. The maze of trails around Cactus Forest Loop Drive are excellent short hikes but cover very little of the park. The facilities here are nice, with the loop drive paved. Long, overnight hikes are required to reach the rest of the park. Tucson Mountain area has better day hikes but take them at the right time of the day or you will burn up. There is very little shade anywhere. The loop drive here is not paved but well graded. Overall, this is an enjoyable park but you must get out of the car and at least do the short hikes. 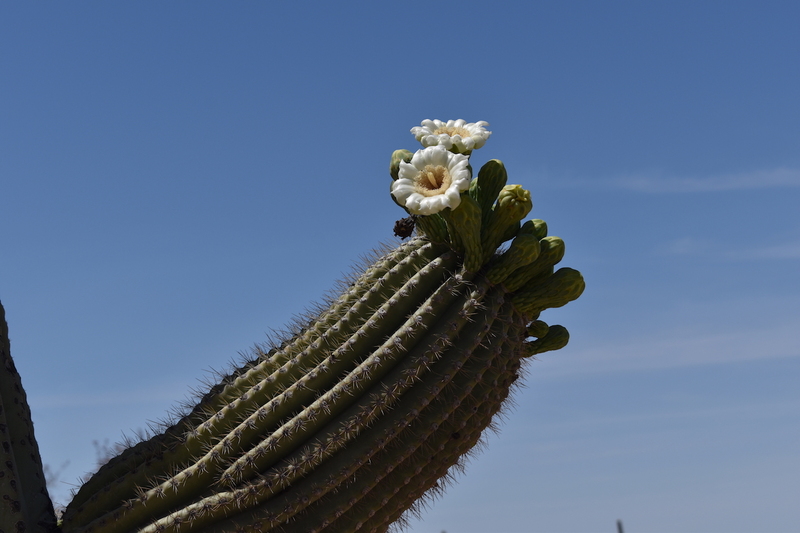 Have you visited Saguaro National Park? Leave a comment below on your experience. Stop at Loma Verde trail head parking area. Pick the loop that best suites your ability. Be very careful while navigating. The signs are not the best and the trails are like a maze, all interconnected. If you only visit one side, visit the Rincon Mountain side. Saguaro cactus is the main draw. There isn’t any one saguaro that is the symbol of the park, but there are plenty of saguaros to view. There isn’t a “must see” attraction. The loop roads on either side of the park have good scenery. One long day is enough if you only hike the short trails near the loop roads. Day hikes are nice, but be careful of the heat. Heed ranger’s warnings. Bring lots of water. Sabino Canyon is a nice area to see. If you have annual pass, it will get you in, but won’t cover the tram. Size: 91,439 acres, ranked 39th. Peak Month in 2017: 139,654 visitors in March. Low Month in 2017: 43,075 visitors in September. Entrance Fee: $15 per vehicle, $5 per person not in a vehicle.